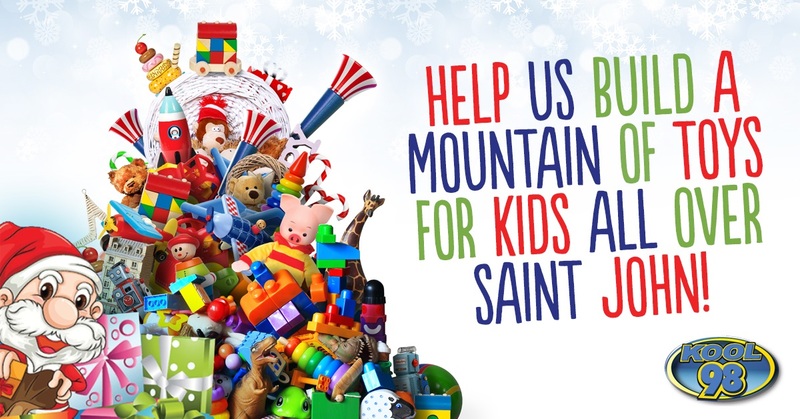 Join in the Christmas Spirit by helping build a Mountain of Toys with the Annual MBS Radio Toy Drive. The IG Wealth Management Christmas Elf’s will be collecting your donations daily from Friday November 23rd through Friday November 30th at McAllister Place Mall from 10:00am – 9:00pm (Sunday Nov 25th from 12:00pm – 5:00pm. Help make this a memorable Christmas for Kids all over Saint John!